Learn-to-skate classes involve skating once a week for 30 to 45 minutes. The cost of learn-to-skate classes is usually paid in a series. Charging $100 for 10 weekly group lessons is common at many ice arenas. Skate rental is usually included in the learn-to-skate lesson tuition. Some beginning skaters go back to the rink once or twice a week to practice for another hour or two. The cost for additional practice sessions ranges from $5 to $10 per hour, but some ice arenas include a free practice session with group lesson tuition. No practice clothing must be purchased at this level. Serious recreational skaters usually practice two to four days a week for an hour or two total. The cost of each hour of practice ranges from $5 to $15. Recreational figure skaters usually take one to two private skating lessons per week, which range from $20 to $50 for 20 to 30 minutes of private, one-on-one skating instruction. Serious recreational skaters own their own figure skates. Acceptable figure skates for recreational figure skaters range from $150 to $300. Skate sharpening is $10 to $20 and should be done every two months. Practice clothing for skating is essential; basic skating attire costs $30 to $50. Some recreational skaters compete in basic skills, Ice Skating Institute, nonqualifying, and test track skating competitions and take figure skating tests or participate in skating recitals and shows, which increase skating practice time and costs. Out-of-town recreational skating competitions have travel costs. Most figure skating coaches charge for extra expenses and lessons related to competitions. Synchronized skaters usually skate at least two to three days a week, sometimes more. Some serious recreational skaters join synchronized skating teams that charge yearly tuition for ice time, instruction, costume costs, warm-up suits or uniforms, and travel expenses. Estimated cost for synchronized skating is $2,000 to $3,000 per year per skater, usually paid in monthly installments. Ice Skating Institute's (ISI) recreational synchronized skating teams usually practice together once a week for 30 to 45 minutes, so the cost of ISI synchronized skating is much less, approximately $15 to $25 a week. Social ice dancers may skate once or twice a week with friends. They take at least one private lesson a week with an ice dance coach and may attend ice dance weekends once or twice a year. Ice dance weekends cost $300 to $400, which includes two nights in a hotel, meals, socializing, and a lot of social ice time and dancing on and off the ice. (Airfare is not included.) Social ice dancers are usually adult figure skaters, but some children and teens participate in social ice dancing. At the lower figure skating test levels (pre-preliminary and preliminary), test-only skaters can accomplish much by skating three to four days a week for just an hour and taking one to two private lessons a week. Each hour of practice costs $5 to $15. Private lessons cost $20 to $50 for 20 to 30 minutes of instruction. 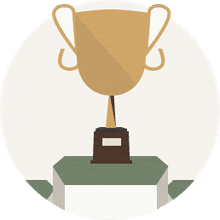 As the skater's test level increases, figure skaters who decide to complete all U.S. figure skating tests and work toward a "gold medal" skate at least two 45-minute sessions per day, five days a week, and usually have at least one private lesson each day. At the advanced skating levels, higher quality boots and blades are required. A suitable pair of skates for a test-only skater costs $500 to $1,000. Skate sharpening prices range from $15 to $25. Skates should be sharpened about every five weeks. Test fees, music editing fees, and skating test clothes—tights, laces, and practice skating clothes—add to the costs. Preliminary through juvenile figure skating competitors usually skate at least two 45-minute freestyle practice sessions per day, five days a week, and have at least one private lesson a day. Boots and blades cost $300 to $900 at these levels, and skate sharpening is needed monthly, $15 to $25. There will be test fees, music editing fees, competition clothes, practice clothes, ballet and dance lessons, off-ice conditioning and stretching instruction, competition travel costs, etc. 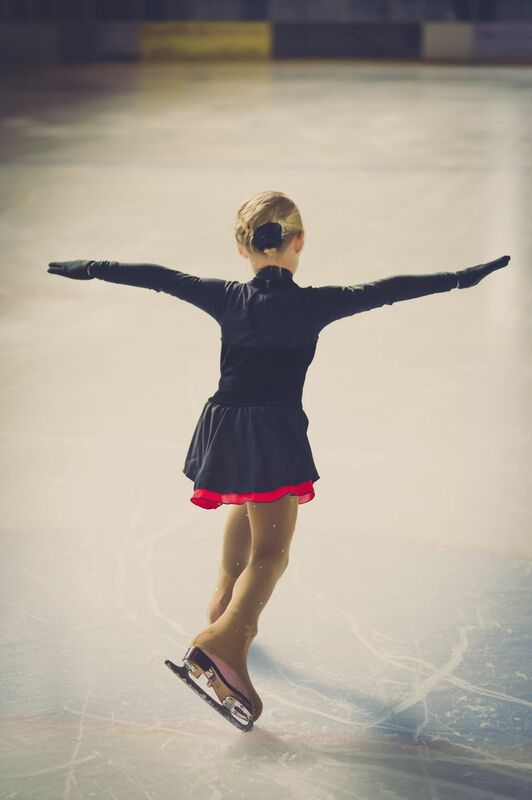 The total estimated cost per year of a preliminary to juvenile's skater's training is $7,000 to $10,000. Intermediate levels and above require at least three to four 45-minute practice sessions per day, five to six days a week, but skaters at these levels commonly skate and train much more. Skaters at this level take at least two to three private lessons a day with highly qualified competitive figure skating coaches and work with supplemental coaches and choreographers. Boots and blades must be of the highest quality, so skaters at this level commonly spend $1,000 to $1,500 on skates. New boots and blades are sometimes required annually. Sharpening is done monthly for $15 to $25. Costs for music editing, choreography, competition, travel, practice and competition clothes, off-ice conditioning, ballet lessons, etc., are higher. A skater's family can expect to spend at least $20,000 a year on skating but may spend more.